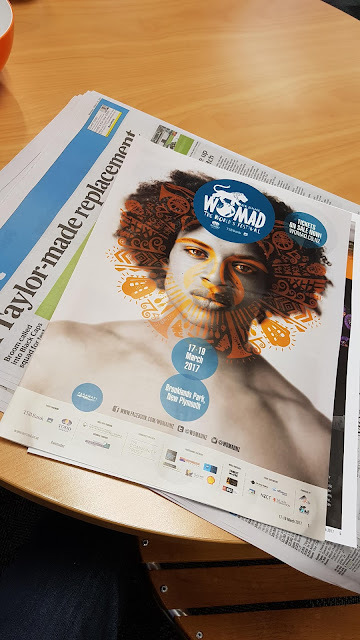 Click to see more https://www.jazzfestival.co.nz/. In the meantime here's a quick overview of the main acts coming to the festival. The most innovative and influential jazz guitarist of the past 25 years. Experience the quicksilver sound of “guitar genius” (SPIN magazine) Bill Frisell, performing his first-ever New Zealand show. A shining light of Americana, Seattle-based Frisell is “the most innovative and influential jazz guitarist of the past 25 years” (The Wall Street Journal) and has collaborated with some of the greatest musical artists of our time, including Elvis Costello, Brian Eno, Bono and Marianne Faithfull. With Frisell joined by vocalist Petra Haden (The Decemberists, Beck, Foo Fighters), Thomas Morgan (double bass) and Rudy Royston (drums), you’ll revel in a sweetly dark and dreamy evening of reimagined cinema and TV soundtrack music from his 2017 Grammy Award-nominated album When You Wish Upon a Star. Conjuring favourite memories alongside less-familiar moments of magic – from a brush with Bond to the drama of The Godfather and a love-laced Moon River – Frisell imbues these screen gems with a new sense of wonder and joy. Sure to be an opening-night knock-out. Catch the jazz beat with one of the world’s greatest living drummers. A regular performer with jazz great Chick Corea, Dave Weckl delivers every time, creating an “explosive” (All About Jazz) fusion of funk, rock and blues. He’s joined by Grammy Award-winning Santana vocalist Tony Lindsay, Down Beat rising sax star Adam Schroeder, Mingus Big Band trumpeter Alex Sipiagin, and concert openers the New Zealand School of Music Big Band – Aotearoa’s premier student ensemble. Make some soul time with one of the most-awarded female jazz vocalists of our time. A sultry and soulful storyteller, her unique jazz stylings reflect a pure and heart-felt love of music. From R&B to pop, folk and rock – she owns them all with her lush, crystal-clear voice. Experience the charisma, power and beauty of this five-time Grammy Award-winner, joined on stage by Peter Martin (piano), Romero Lumambo (guitar), Reginald Veal (double bass) and Terreon Gully (drums). With collaborators ranging from all-time greats Harry Belafonte and Jazz at Lincoln Center Orchestra with Wynton Marsalis to new guard Esperanza Spalding, Robert Glasper and Lalah Hathaway, Reeves is the true heir to Ella Fitzgerald’s queen of jazz throne. A sure-fire Festival favourite in the making. Wellington meets world jazz in this exciting international premiere. Cheer on home-town jazz heroes The Jac as they’re joined by South Korea’s Black String in the culmination of a year-long collaboration. This powerful night of in-the-moment magic melds Black String’s electrifying and explosive play on Korean musical traditions with the cinematic sound of these award-winning New Zealand talents. “Triumphant” (London Jazz News) in their own right, four-piece Black String are making waves on the world music scene for their fresh and fiery jazz sound. Meanwhile, “spine tingling” (New Zealand Musician) eight-piece The Jac are a freight train of pure musical energy, featuring members of the New Zealand Symphony Orchestra, The Troubles and the Richter City Rebels. Be there as they forge a new Korean-Kiwi jazz genre. Brace for impact with these futuristic space-jazz pioneers. Fusing jazz, Afro-beat and electronica, The Comet is Coming are your Saturday night soundtrack to an imagined apocalypse, with members King Shabaka (Sons of Kemet, Melt Yourself Down), Danalogue and Betamax your cosmic guides. These one-time Snarky Puppy openers are charting their own path in the spirit of legendary freestyle funksters Sun Ra, Frank Zappa and Jimi Hendrix, making last year’s prestigious Mercury Prize shortlist. Book fast and get ready to dance like it's the end of the world. Master musicians blend the best of classical with the best of jazz. Marvel as master musicians Michael Houstoun, on piano, and Rodger Fox blend the best of classical with the best of jazz. From a big band take on Bach to original music by Grammy Award-winning composer Bill Cunliffe, a swinging Sunday afternoon awaits. Also featuring special guest appearances by American guitarist Chris Cain and Kiwi vocalist Erna Ferry. Feel the heat in this upbeat Festival closer. Globe-trotting Cuban charmer Harold López-Nussa brings the heat in this upbeat Festival closer. A classical piano prodigy and Cuba National Symphony Orchestra soloist, López-Nussa made a late switch to jazz and has never looked back. He’s since collaborated with musical legends Chucho Valdés and the Buena Vista Social Club, and been picked up by New York’s Jazz at Lincoln Center, Ronnie Scott’s Jazz Club in London and the world-famous Montreux Jazz Festival. Come sway the night away, and feel the energetic rhythms and magical melodies of this next-big-thing performing with Ruy López-Nussa (drums) and Julio César Gonzalez (guitar). Following the operation allegations of civilian casualties were made. These were investigated by a joint Afghan Ministry of Defence, Ministry of Interior and International Security Assistance Force Assessment team, in accordance with ISAF procedures. 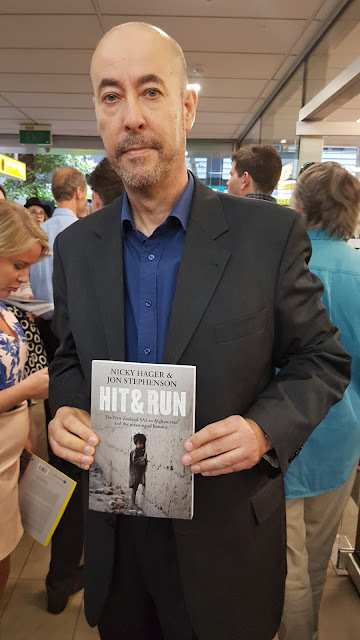 Six years later, to the day, investigative reporter Nicky Hager and war Correspondent Jon Stephenson have released a book (Hit & Run: The New Zealand SAS in Afghanistan and the meaning of honour). It reveals what they believe to be the truth behind the “tragic and disastrous SAS actions” and allege that “at least 21 civilians were killed or injured – many of them women and children.” They have even recorded their names and documented their lives in the book, including 3-year-old Fatima, who was killed as her mother, carrying her, tried to dive for cover. They also claim that the attack went further, leading to the blowing up and burning of at least a dozen houses by SAS and US forces and then later, a second village raid destroying more property before one single insurgent was caught. He was handed over to the Afghan secret police and tortured. Hager also claimed in his press conference, held after the launch that the real insurgents, still very much alive, had actually attended the funerals of the civilians (from that 21). This he said was recorded on video and sold to authorities. He hadn’t seen the tape, he conceded. This book, he said, was an investigation into the truth behind the story of these raids and the cover up that was conducted not only by the NZDF but also by The Defence Minister at the time, Wayne Mapp and the Prime Minister at the time, John Key, who had actually authorised the attacks by telephone. 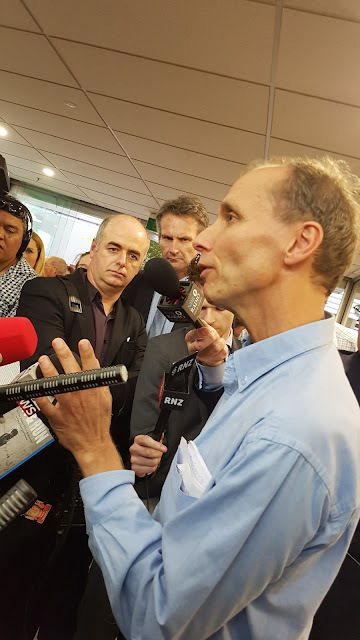 He made no bones about linking the connection between the raids and the recent death of a New Zealander, Lt Tim O’Donnell, who was killed by a roadside bomb in August 2010. One journalist asked if this was a revenge attack that he was alluding to but he was careful not to answer this conclusively. Hager said that he and Stephenson had been given the story, they hadn’t sought it out. And that was one of the compelling reasons to pursue it. Both Hager and Stephenson emphasised several times during the book launch that the book was based on ‘numerous and extensive interviews with people involved in these events, including New Zealand and Afghan military personnel as well as residents of the village.” Hager did also add that he had not approached Key or Mapp for comment because he believed that although they may have known the truth they were not likely to reveal anything or even to reply in any way. Hager’s book was released today and will be available through most of the usual retail outlets including Unity Books. Fans of large, unwieldy discs of black plastic rejoice, because last year vinyl sales reached a 25-year high in the UK, with over 3.2 million albums shifted on the pleasingly analogue format. I count myself as one of those very fans – see above as I casually enrage the purists and rub my grubby fingers all over a treasured Dolly Parton offering that I picked up for 50p and makes up part of my largely battered but very much beloved collection of second-hand records. At first the recent boost in sales of brand new vinyl seems to be a glorious thing, with people embracing an old-school format as a stand against the constant digitisation of our consumption of music. But when you look at the 2016 data in detail, a weird pattern starts to emerge. David Bowie’s ‘Blackstar’ and Radiohead’s ‘A Moon Shaped Pool’ aside, the albums that populate the Top 10 are old, from The Stone Roses’ 1989 debut to Nirvana’s 1991 breakthrough ‘Nevermind’, Fleetwood Mac’s 1977 smash ‘Rumours’, Amy Winehouse’s 2006 ‘Back To Black’ and Bob Marley’s posthumous 1984 best-of, ‘Legend’. They’re all records that were – and remain – bestsellers; none of them have shifted fewer than four million copies, with most selling a hell of a lot more. Which brings us to the question: why are people buying albums that they most likely already have, be it on CD or through a download? Is vinyl simply just the latest poser accessory, after beards, fixed wheel bicycles and literally anything with the word ‘craft’ in it? It’s not an entirely out-there assumption, especially considering the current popularity of vinyl frames, made for the express purpose of locking up your records and placing them on the wall, which makes them pretty difficult – even impossible – to then play. The stats seem to back the theory up; last year the BBC published a survey that stated half the people who purchase vinyl have no intention of ever playing it, while seven per cent of vinyl buyers don’t even own a record player. It’s a bit like buying a bunch of flash new workout gear when you know full well that you’re going to spend the next few months on the sofa eating Deliveroo and watching back-to-back episodes of The OA. The fact that all vinyl now comes with a ‘download code’ seems to suggest that even record labels know that their releases are unlikely to get much love on the turntable. Add to this a new wave of unreliable record players that don’t cost much more than the actual vinyl, on which records sound, well, a bit s**t, and you’ve hardly got the makings of a real vinyl revolution. Here’s to things changing in 2017 though – and to people actually playing the records that they buy. Below are some photos taken by McKenzie Jennings-Gruar. 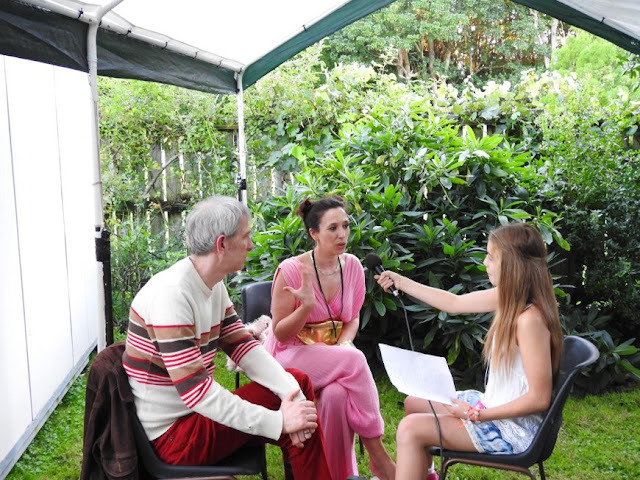 Kenz also interviewed 9Bach's Lisa and Martin for www.13thfloor.co.nz. We've included a link to her IV here, too. Enjoy. 9Bach formed in 2005 thanks to a chance meeting between Welsh singer-songwriter Lisa Jên (also known for her collaborative work with Super Furry Animals’ Gruff Rhys) and English guitarist Martin Hoyland. With their unmistakable sound of Welsh language vocals shimmering alongside swamp guitar, harp, rhythm section and a subtle use of technology, 9Bach have been widely credited with giving a new voice to Welsh song. Their second album, Tincian, was described by The Line of Best Fit as “ripped through with transcendence; a brooding melancholy as much as a gossamer dreaminess”, and was voted Best Album at the 2015 BBC Radio 2 Awards by the public. Their new album Anian is a soulful, brooding record whose songs take a critical look at the world in which we live. Anian: Welsh word meaning nature, the natural order, natural morality, the natural world, creation. What you are made of, your soul and bones, and how you connect with other people. This year, Southbound Distribution has over 300 officially-endorsed Record Store Day vinyl releases that have been offered to records shops throughout New Zealand for the 10th Anniversary of Record Store Day on Saturday, April 22nd. 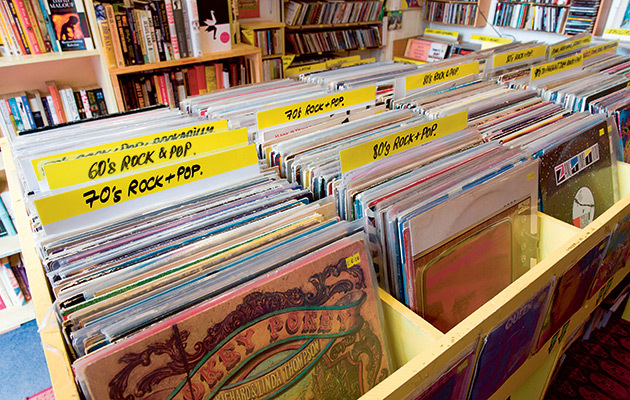 For ten years, Record Store Day has celebrated the unique culture of record stores worldwide. This is a day for people who make up the world of the record stores - the staff, the customers, and the artists - to get together and celebrate the unique culture of a record store and the special role these music outlets play in their communities. This is a day to enjoy buying local, listen to music, chat to the staff and other customers, to get something special for your collection, or even, to buy your first record! Labels: 10th Anniversary of Record Store Day on Saturday, April 22nd. First, they looked f....n great. If you weren't there, Britain was transformed into a mail order version of The Wailin Wailers album cover almost overnight, though it probably didn't know it at the time. 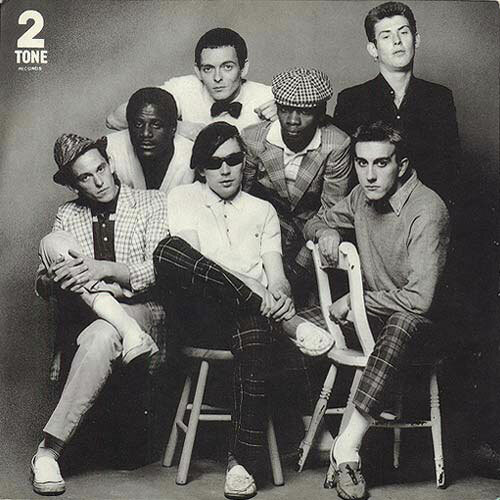 Before the birth of the woeful sports casual, the working class dressed up for the weekend and the easily attainable and striking evocation of mid 60's Jamaica was too irresistible for those who founds punks sartorial alienation just that bit too alienating. Secondly they sounded f....n great. Musicians aside, and if you're listening to musicianship you're not hearing a band, that contrast between Terry’s pained self conscious proselytizing and the manic party time antics of Lynval and Neville either side have only ever been equalled by Public Enemys Chuck D and Flava Flav. And never bettered. Thirdly, they thought f....n great. In an age where teenage girls called Kate or Katie clog up the airwaves with songs about boyfriend trouble, (and that age is always), a number one about birth control seems highly unlikely. And it did then. Add to that, a first tour supporting the Clash, their own label which proportionally was more about others than them, launching Madness, launching The Selector before they even existed, that Two Tone episode of Top Of The Pops, the tour that introduced the non ska wonders of Dexys Midnight Runners to a generation, a faultless and thoughtful back catalogue, opening barely formed minds to racial tolerance, their constant defiance of the ever present National Front and very much under staying their welcome, I defy anyone to find a criticism worth mentioning. Well... not entirely new. 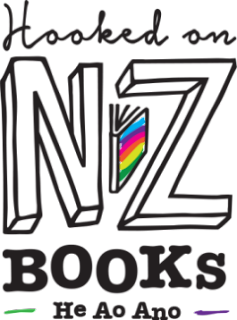 Hooksonbooks.org.nz is a site about New Zealand books, where you the reader can write the review. 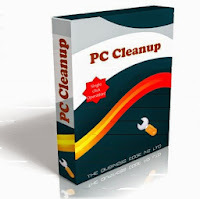 The site has peer reviews - moderated by the editors - and recommendations. The really great thing is that the site is for children and young adults, encouraging them to read and write about what they love. How cool is that? There's even a page on how to write a good review. Groove readers and listeners should check it out but keep reading our reviews, too. Of course you will. With a falsetto voice drifting over driving beats and layered synth lines, the compelling sound of Sinkane defines Ahmed Gallab’s journey from a childhood in London and Sudan to Brooklyn, where his music took flight. His style-hopping sonic influences embrace Afrobeat, pop and soul grooves and the result is a seamless and seductive cross-cultural mesh. Out of their teenage bedrooms, Mt Eden are now working with some of the biggest artists and producers in the game. Expect them to fire up their trademark extended build-ups, drum solos, double and triple drops as Mt Eden take crowds to the peak and tip them over the edge again and again. Described by the guardian as delicious, oddly uplifting misery, Marlon William’s is New Zealand’s acclaimed folk and country singer making deep waves overseas. A veteran singer songwriter at the age of 25, Williams found his calling as a child growing up in Lyttelton, New Zealand. He is known for his ability to truly inhabit his material blurring the distinctions between classics and his own works. Mercedes Peón is a one-woman musical hurricane who has single-handedly revived the traditional music of Galicia in northern Spain. A true original, Peón has painstakingly collected the songs of the region and experimented with them, unleashing them live in a dramatic solo show on stage, with an armoury of instruments and effects on hand. Formed in 1998 as a defiant musical gesture against mass market mentality, this wild and adventurous seven-piece group proudly embraces Polish folk traditions, but with a thrilling and raw edge. Using old instruments rarely heard in modern music, their most recent album also draws influences from India, Persia and Spanish Galicia. Direct from the streets of New Orleans, the raucous and joyful Hot 8 Brass Band has re-cast traditional marching band jazz with funk, R&B and hip-hop. Over 20 years of leading community parades, funeral processions, street parties and concerts, the band has endured great tragedies, including the violent deaths of several members and Hurricane Katrina, but they have emerged triumphant. Having been encouraged to sing by Salif Keita, the multi-talented Inna Modja is carving out a unique path on the world stage. Her music is an alluring mix of desert blues, electronica and hip-hop with hard-hitting lyrics, set to a flawless groove. She is outspoken on many of the injustices facing African women but, ultimately, hers is a powerful and positive vision for the future. New Zealand producer and multi instrumentalist Lord Echo (aka Mike Fabulous) has been flexing his dual-mastery of 60's production techniques and modern dancefloor aesthetics for over a decade now, through a flowing blend of boogie-laced Funk, disco-primed Reggae, futuristic Soul, and timeless African rhythms. Best known as the dynamic front woman of roots favourites Blue King Brown, the ever-evolving Nattali heads up this new-conscious reggae project. With a renewed focus and energy after spending time living in Jamaica, Nattali and her Jamaican-international band are ready to unleash their debut album of uplifting and thought-provoking music. 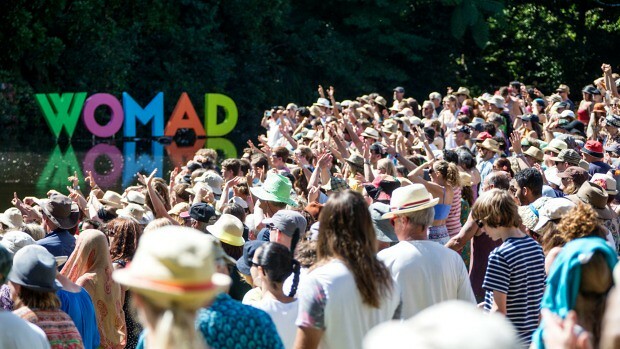 Austria’s electro-swing band Parov Stelar, fronted by singer Cleo Panther, will make their New Zealand debut exclusive to WOMAD NZ. Their insanely catchy music that has been used in advertising campaigns across the world with joyous horns and sophisticated style, has the sass and panache of 1920s cabaret, with modern-day dance floor appeal. 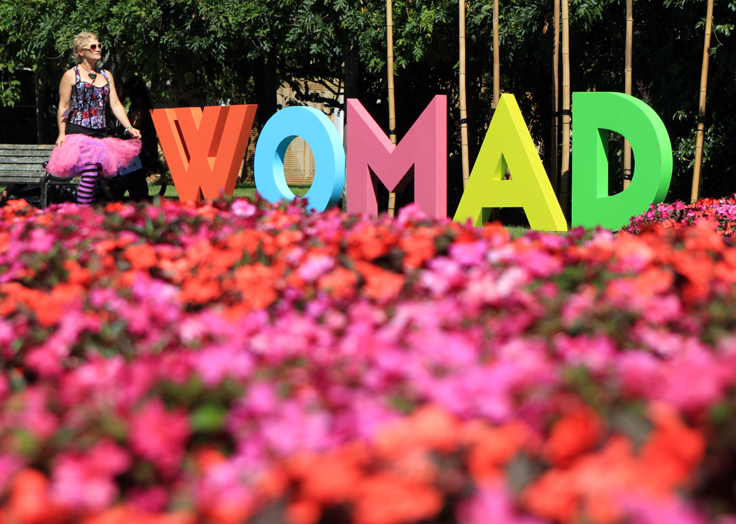 I picked up a copy of the WOMAD schedule at Mamba cafe in Plimmer Steps. HarperCollins Publishers, one of the world’s largest consumer book publishers, today announced a global campaign celebrating two centuries of publishing in commemoration of the company’s 200th anniversary. The centrepiece of the yearlong celebration is a website, www.hc.com/200, that showcases HarperCollins’s storied history and influence on readers of all ages around the world. James Kellow HarperCollins Australia & New Zealand CEO said, ‘We are incredibly proud of our global literary history. 200 years of publishing is an incredible achievement. We are no less proud of our local contribution as one of New Zealand’s oldest publishing companies. 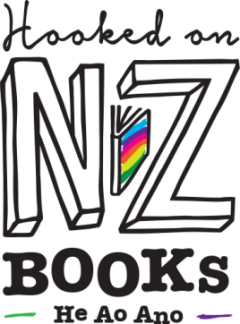 The company opened its doors in New Zealand in 1888 and over the years has contributed generously to the country’s literature with authors as diverse as Ngaio Marsh and Margaret Mahy, and books such as Delinquent Days by John A Lee, and Peter Mahon’s Verdict on Erebus. HarperCollins, the publisher of Mark Twain, the Brontë sisters, Thackeray, Dickens, H. G. Wells, Agatha Christie, J. R. R. Tolkien, George R.R. Martin, C. S. Lewis, Banjo Patterson, Henry Lawson, May Gibbs, and many more, has a long and rich history, which book lovers can interact with via a wide array of exclusive content available now at www.hc.com/200. Visitors to the site can delve into the literary heritage of HarperCollins, and will discover everything from images of captivating artefacts from the company’s archives, to a collection of iconic HarperCollins books, to short stories that illustrate significant moments in the company’s history. HarperCollins asked its authors from around the world why they write, why they read, and what books have influenced them. Dozens shared their thoughts, including Jackie French, Richard Fidler, Tara Moss, and Donna Hay. Visitors to the website will also be encouraged to join the conversation and share their own experiences and passion for reading via social media using the hashtag #hc200. The website will be a springboard for activities created by local teams across the globe and designed to bring the 200th anniversary to life in each market. They include a campaign to support literacy and reading, charity projects, and an exhibition of historical items at the Columbia University Rare Book and Manuscript Library in New York City. Produced by Lorde, Jack Antonoff and Frank Dukes, ‘Green Light’ heralds the impending arrival of LORDE’s second full-length album and follow-up to 2013’s triple-platinum Pure Heroine. The video for ‘Green Light’, which was directed by Grant Singer (The Weeknd, ZAYN | Taylor Swift, Phantogram) – is also available now on VEVO, watch it HERE. Lorde is also set to perform ‘Green Light’ on Saturday Night Live on March 11th. In 2013, a 16-year-old LORDE quietly, yet confidently asserted herself as the voice of a generation with her full-length debut, Pure Heroine. 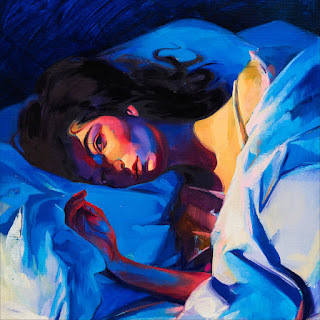 The album would go triple-platinum in the US, win two GRAMMY® Awards, and spawn the seven-times platinum record-breaking international juggernaut single, ‘Royals,’ and quadruple-platinum follow up ‘Team.’ The former cemented LORDE as “the youngest solo artist and the only New Zealander to achieve #1 on the Billboard Hot 100 since 1987.” Time exalted her amongst the “Most Influential Teenagers in the World,” she landed on Forbes’s “30 Under 30” List, graced the cover of Rolling Stone and performed alongside Nirvana during the 2014 Rock and Roll Hall of Fame Induction Ceremony. She also curated the official soundtrack for The Hunger Games: Mockingjay – Part 1 and recorded ‘Yellow Flicker Beat’ as the lead single. This year, LORDE makes her anxiously awaited return with the new single ‘Green Light,’ marking the first taste of new music that will set the tone for her highly anticipated performances at marquee festivals including Coachella, Governors Ball, and Bonnaroo.